While I know that I could never commit to maintaining a full blog – and kudos to all of those who do, while keeping up with their own writing, and while maintaining an actual life – I do wish I had somewhere to post relevant book news. I have decided to let this page simply evolve into a sort of Book Café, a place where I can post reviews about great books that I’ve read, reviews of my own books, book news and links to useful articles, etc. And I’m taking, as my inspiration for this first post, the “My Writing Process Blog Tour” in which I was invited to participate by Marsha Skrypuch. a.) What are you working on? I’m currently completing the final edits on a Newfoundland “Twelve Days of Christmas” picture book. It’s called A Moose Goes A’Mummering and it’s based on the Newfoundland tradition of disguising yourself and going from neighbour to neighbour at Christmas-time, spreading cheer and seeing if anyone can figure out who you are. I didn’t know much about this tradition when I first started work on the project, so it has taken a lot of reading and talking to people who remember mummering themselves. 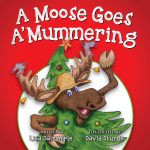 The tradition sounds fabulous, full of food, fun and festivities and I’m excited to bring the story of Chris Moose and all of his mummering friends to the rest of Canada. b.) How does your work differ from others of its genre? I’m not sure how to answer this question, partially because my books to date have led me across a couple of different genres. However, I do like to bring the fun and the unexpected into my subtly educational stories and, while it may seem compulsive, I do also research the background facts behind my just-for-fun rhyming stories too. 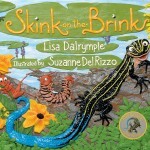 This is why, in Skink on the Brink, Stewie is a fully-researched, biologically accurate Common Five-lined Skink – except for the slight fact that he likes to make up silly rhymes as he runs through the forest – and why, in my Polar Bear series, the dietary preferences of the polar bear that lives at Nat’s house were fully researched also. c.) Why do you write what you do? Writing picture books geared at kids up to about 8 years old just feels entirely natural to me. I often feel that we all have a mental age and that mine hasn’t really changed all that much since I was 8. I remember being in Grade 3 and having a conversation with my Dad at the park near our house. I was anxious that the Big 1-0 seemed far too close for comfort. He responded by saying that, while he was sure I would love being 10, he agreed that it was pretty awesome being 8 or 9. I decided right then to hang onto my 8 year old self and she has stayed with me ever since. d.) How does your writing process work? I’m not sure how much of it does work. I mean, it can take me about 3 years to write a 400 word story – from its inception, to the first hurried words on paper, to the throwing it out/starting all over/charting new directions. By the time my work is finally shared with my first readers or a critique group, I’ve usually been working on it for at least a year. Then the peer editing begins, often accompanied by more throwing chunks out/writing fresh material/charting new directions. By the time a story finds its way to a publisher, it has often been in the works for 2-3 years. 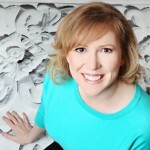 Then, of course, the publisher or editor shares her tips to strengthen the piece too. I think, if it weren’t for the fact that my books are finally bound and finished, I’d be editing each of them still. Thanks for reading my very first “blog post.” Next Monday, Aimee Reid will be posting her answers to the “My Writing Process Blog Tour” questions. As a child, Aimee Reid wanted to be two things: a teacher and a mother. Sh e used an overturned laundry basket as her first pretend desk, where she created assignments for imaginary pupils and then even completed and corrected their homework! 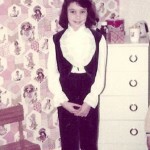 When she grew up, Aimee earned a real teacher’s desk and also had three wonderful children. Aimee’s new picture book, Mama’s Day with Little Gray (Random House), celebrates the beauty that can be found in an ordinary day; her blog, Good Books to Share, highlights all of the ways that children’s books bring good to the world. Always great to catch up with fellow writers. This time last year you were a guest in our home helping with the pre and post launch craziness.Then we got to enjoy the events of WFNB WordsSpring weekend. How quickly and busily a year passes. All the best in all of your ventures!